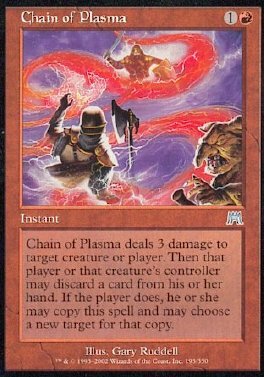 Chain of Plasma deals 3 damage to target creature or player. Then that player or that creature's controller may discard a card. If the player does, he or she may copy this spell and may choose a new target for that copy.